Earlier this week my older daughter was home sick. We ended up baking together all day and having a wonderful time. Normally making sweet treats is two gifts in one, the opportunity to spend time with my girls and the sweet treat itself. Right now, using M&M’S®s in our baking is extra sweet because for every bag of M&M’S® purchased at Walmart, money will be donated to food banks all over America. I love knowing that we are making a treat together and helping people in need all at the same time. We made lots of different yummy M&M’S®s treats but this White Chocolate Peppermint Popcorn was one of our favorites. Unwrap 2-3 candy canes and put them in large bag, use a rubber mallet or rolling pin to crush them into fine pieces. This is my daughter’s very favorite part of making this recipe! Place the almond bark in a microwave safe bowl and microwave for 30 seconds. Stir the almond bark and microwave for another 30 seconds. Stir the chocolate again. Keep repeating until it is melted. When I was making this recipe I only had to microwave the almond bark for 2-30 second increments, be careful to not overheat. 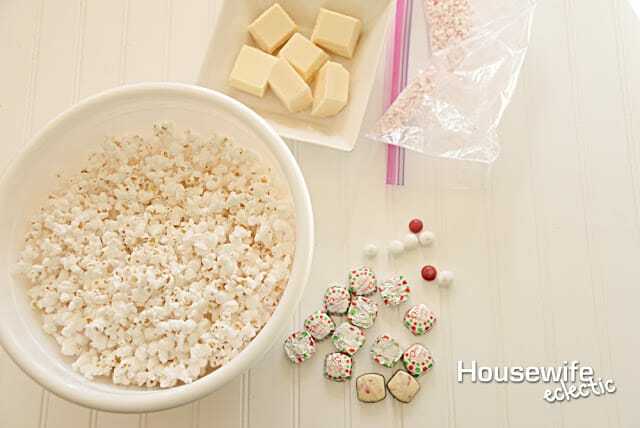 Spread the popcorn out on the parchment paper, sprinkle a full bag of M&M’S® Brand White Peppermint (Limited Edition) Candies and mix them in to the popcorn. Let the popcorn set up until the chocolate is no longer melted. 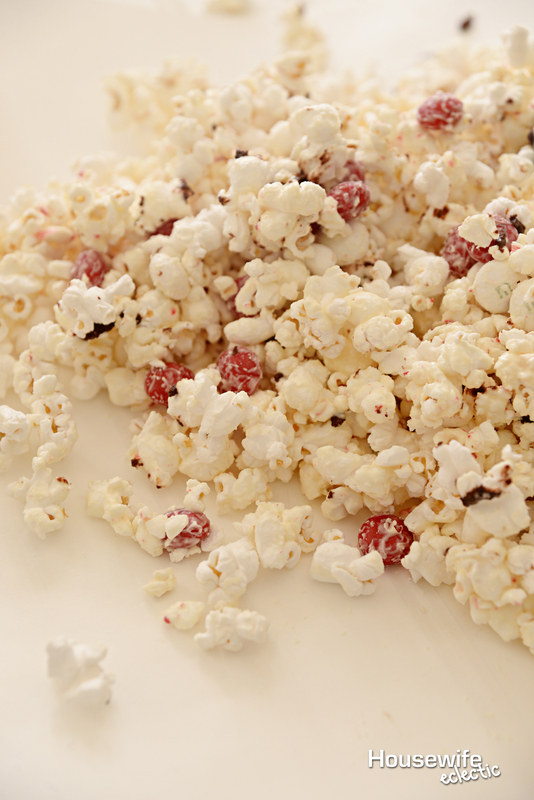 This popcorn has just the perfect touch of peppermint to it, I loved getting a bite with M&M’S® in it to give it an extra peppermint punch. We picked up our M&M’S® at Walmart because right now Every time you buy M&M’S® at Walmart, milk is donated to your local food bank*. Childhood should be filled with playing, learning and growing. But for many children who face hunger, even basic staples like milk are missing.This Season, help The Great American Milk Drive deliver its 1 MILLIONTH gallon to Feeding America. Head to visit www.milklife.com/give learn how you can help give back to kids in need this season. What are your favorite M&M’S® to buy and help kids in need? 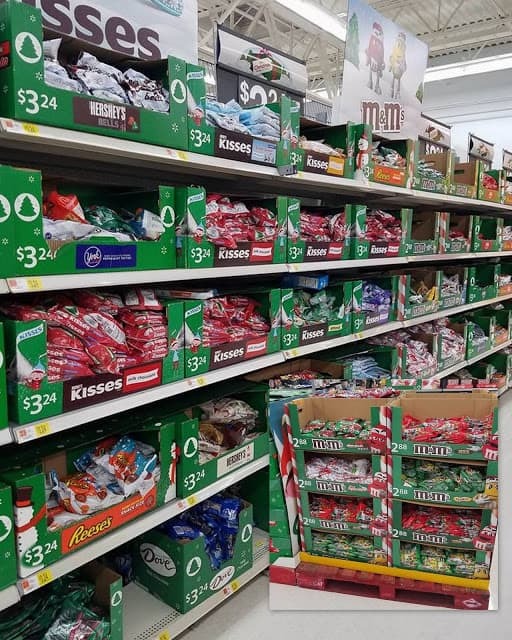 *For every purchase of M&M’S® Brand Chocolate Candies product purchased at Walmart between 11/7/16 and 12/25/16, Mars Chocolate, Inc.® will contribute $5.00 to Feeding America® on behalf of its national network of food banks to secure and deliver one (1) half-gallon of milk or more based on local markets. Maximum contribution is $100,000. LOVE m&ms and helping those in need…and together is such a win-win! And this recipe is too good to not make! Cant wait to test it out! Oh what a delicious snack for the holidays! I can see my family munching on this as we decorate our tree! This looks amazing! Great recipe to use for Christmas gifts also! I love chocolate and peppermint. It is the flavor of Christmas to me so I would love to make this snack. Delicious. I love Smartpop popcorn with the white cheddar. This looks like a combination of all of my favorite things. Trying it for sure. I need to try those White Peppermint M&Ms immediately. I hope they sell them in the individual bags because I love anything peppermint this time of year. Can't wait to try this popcorn recipe out. YUM. 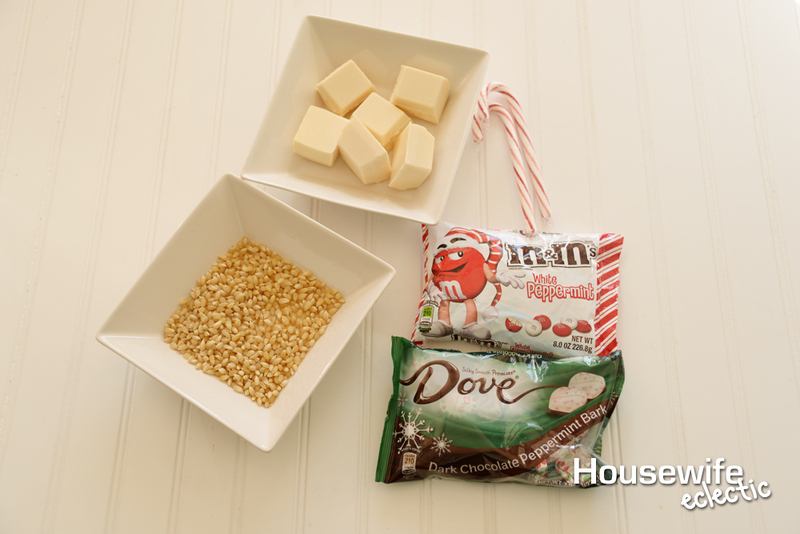 I'm a huge fan of white chocolate, peppermint and popcorn. So this is a lethal combination for my diet! That looks really delicious! Never thought to combine those flavors. YUMMY! !What a great snack or even a gift fro the holiday. So festive adn delicious. 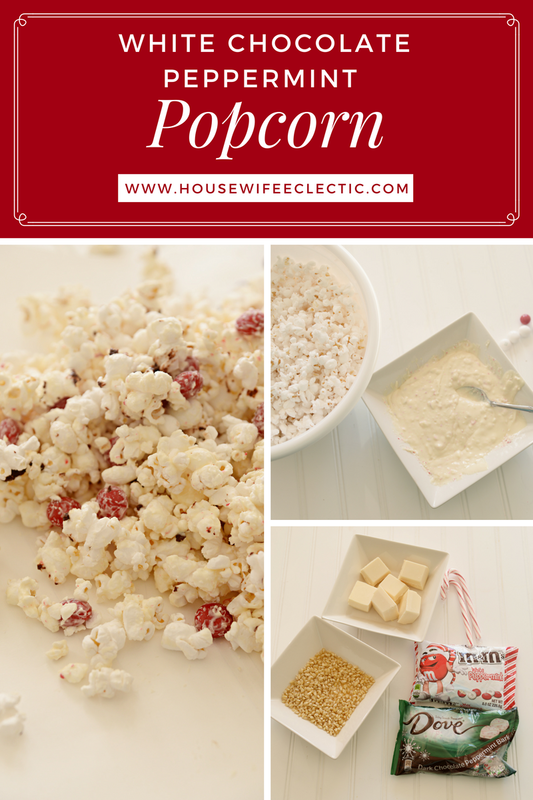 I have never made my own home made popcorn with flavoring, it seems so easy I just might have to try it!! Ohh, this sounds really good! And it's perfect for the holiday season. I love flavored popcorn like this. This looks SO SO SO yummy! I love it!! 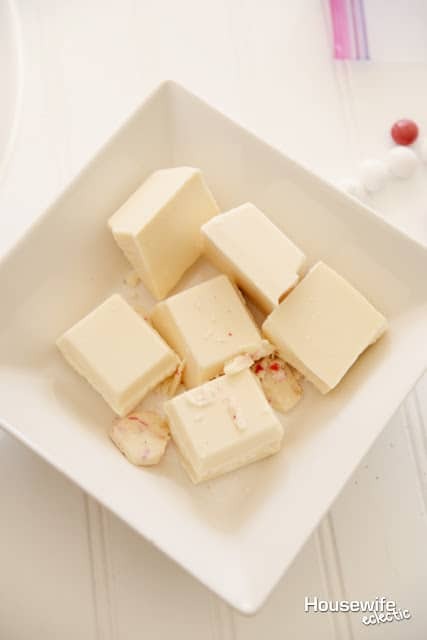 I love white chocolate and that would be perfect for a christmas movie night. 🙂 THnks for sharing this super fun recipe! awww this is such a cute recipe for the holidays. I'll be hosting an Ugly Christmas Sweater party and this just might be the perfect touch for the event. This looks delicious. I buy tasty popcorn like this, but I never thought of making it myself. My husband loves flavored popcorn! I will have to try this for him. My favorite M&M's are also my favorite candy..the plain ones. Yumm I will have to show this to my kids and see if they want to try this with me!! YUM flavored popcorn is my favorite!! I had no idea how to make it. What a fun and seasonal snack! This is one of my favorite things to make with my kids! So good and easy. I use regular chocolate but otherwise the same! Great idea using white chocolate! OMG this looks amazing. I have to go buy the ingredients in the morning,I will be drooling over this post all night! 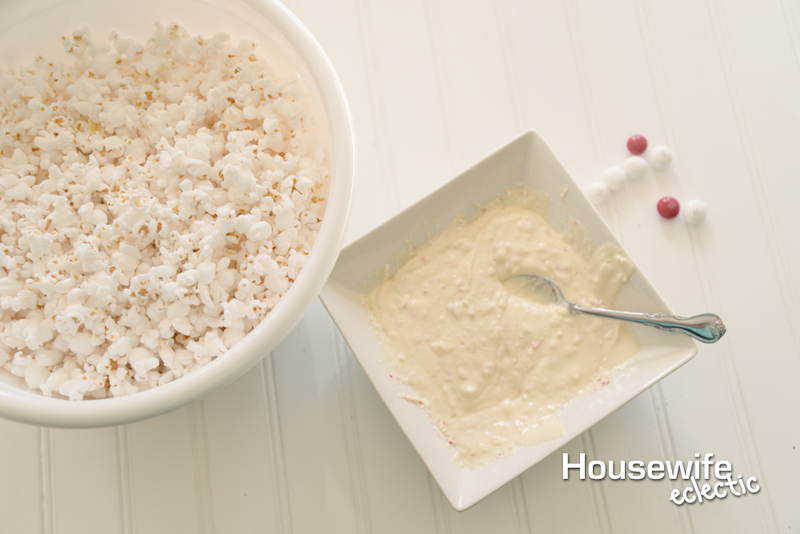 This is the perfect movie snack when you're watching those Holiday movies with the kids! I love that flavor of M&M's! I love white peppermint M&M they are yummy. 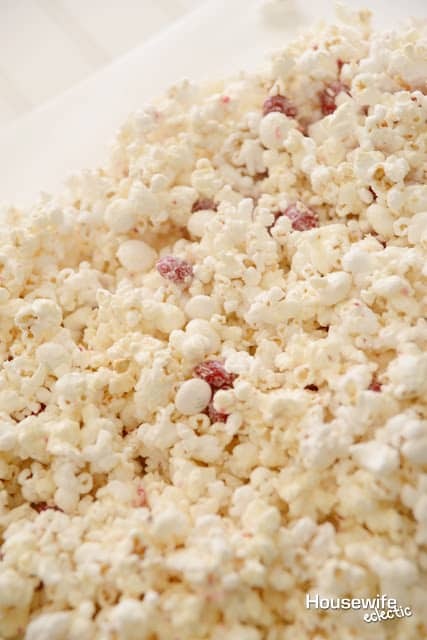 I would love to try making these white chocolate peppermint popcorn it looks so delicious and are perfect snack for Christmas.